Of course, many days bring other items not in the standing schedule. 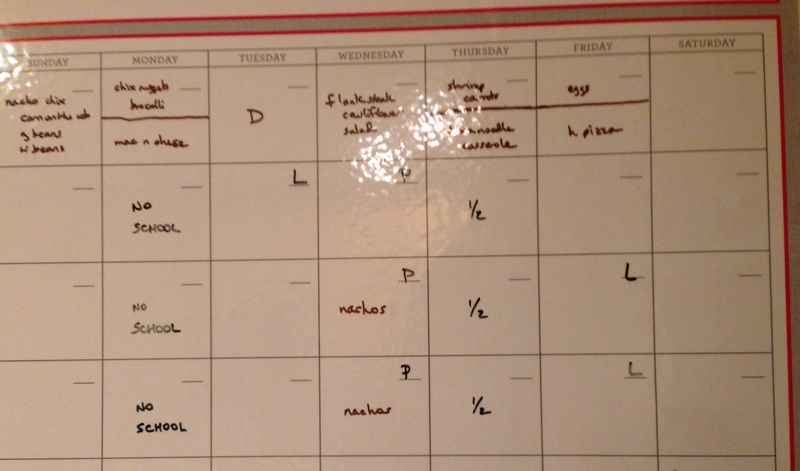 To keep up with all this I have a dry erase board to track meals – both dinners and lunches for the older boys (since they can buy at school), activities, and appointments. This is just a monthly dry erase calendar that I’ve decided to use it as a weekly one. It works well, though in another year or so I’ll need another line. Since I don’t think they make this specific one anymore I may need to find a different solution, but there are plenty of choices.